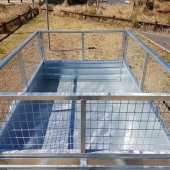 Fully welded, hot dip galvanized extra heavy-duty 7×5 Braked box trailer. 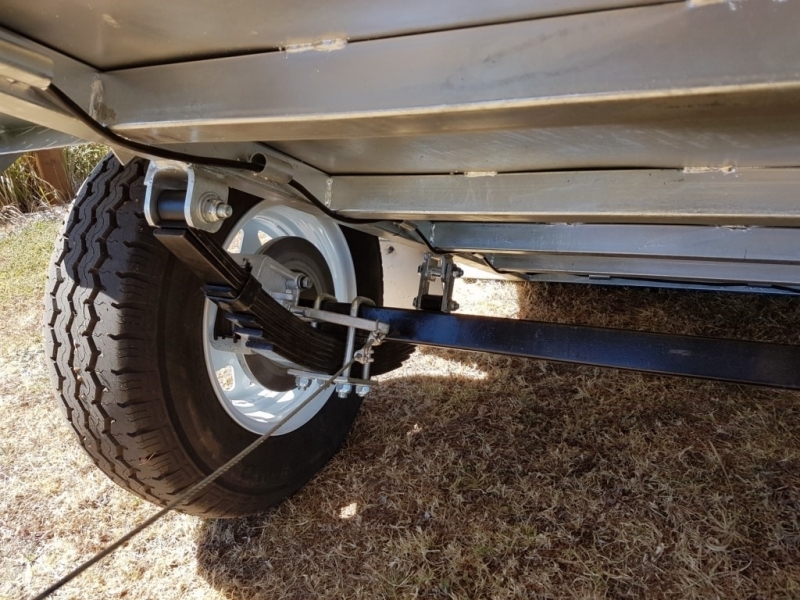 400mm sides, 1500kg ATM! 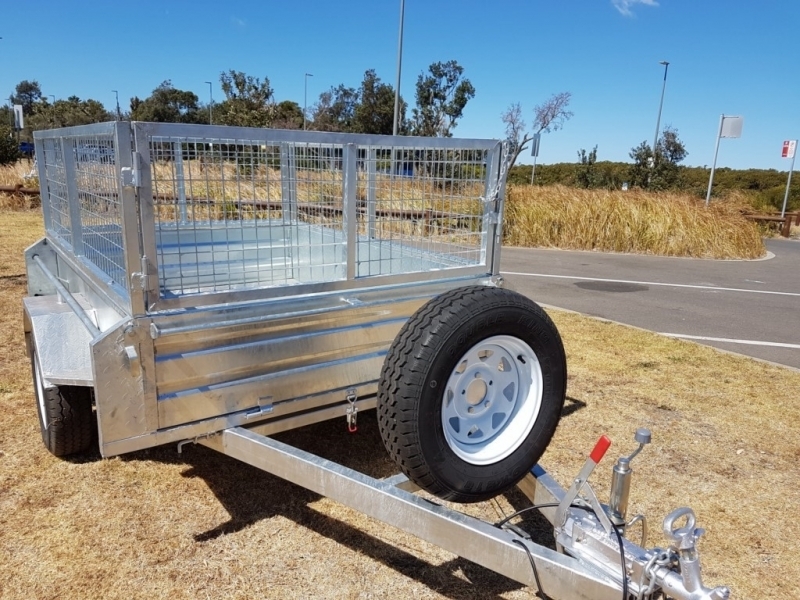 with 900mm cages, spare wheel, and upgraded 8inch jockey wheel. 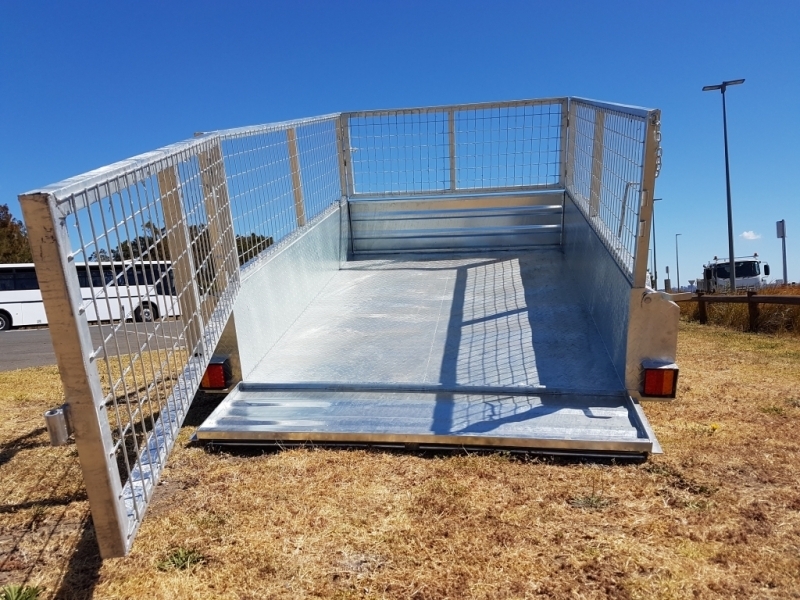 7ft (213cm)x 5ft (152cm) heavy duty single axle disk braked box trailer. 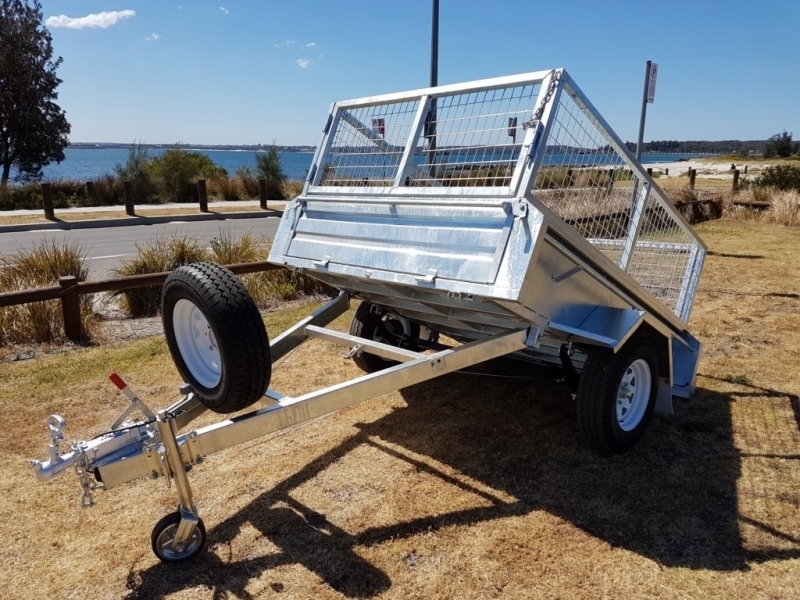 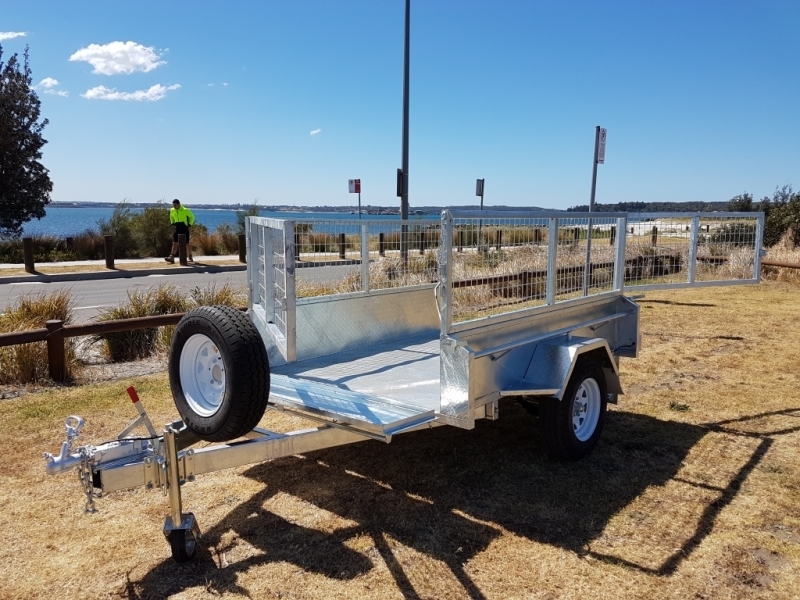 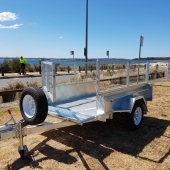 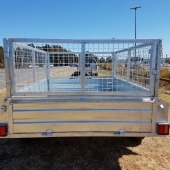 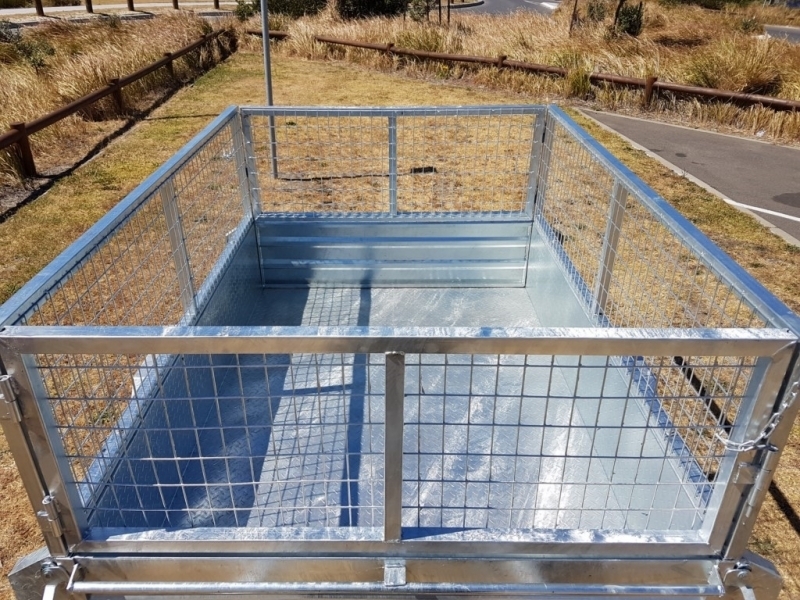 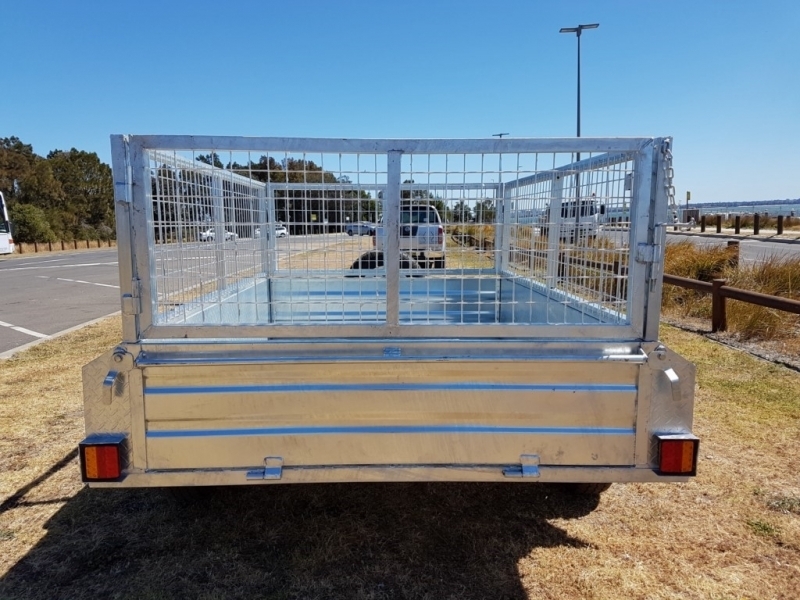 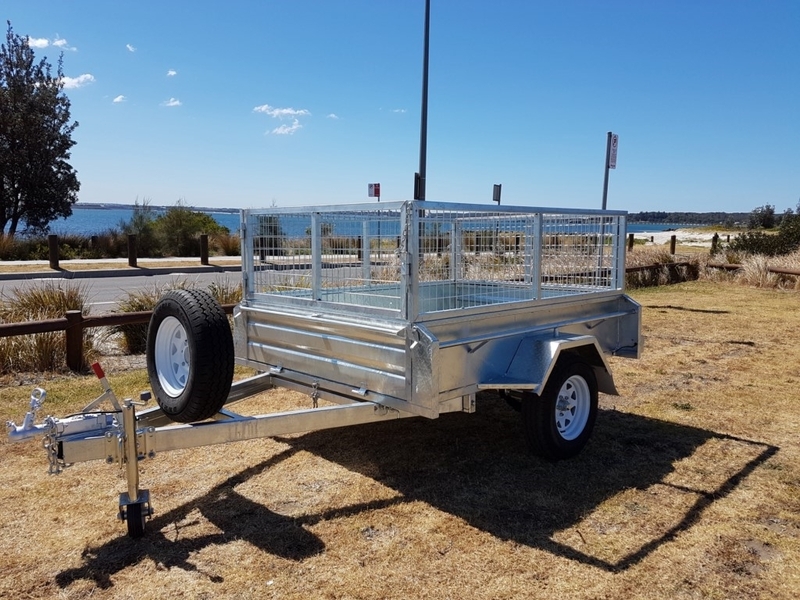 Features a fully welded frame and body, hot dip galvanized for ultimate rust prevention, 400mm extra high sides, full tie down rail with extra tabs for strength, 900mm cages, Spare wheel carrier and spare wheel and an upgraded 8-inch jockey wheel. 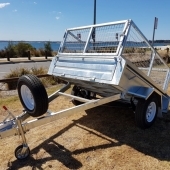 The trailer has an amazing 1500kg ATM and includes a high-quality mechanical braking system. 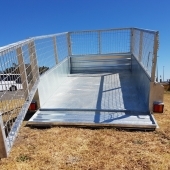 The trailer comes ready for registration and includes our KOOF Australia Service package. 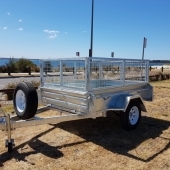 Not only do you get a full 12month warranty but after 12months a free service and free pink slip! 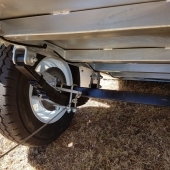 Drawbar 100*50*3mm square tube, length 1300mm,safety chain 10mm. 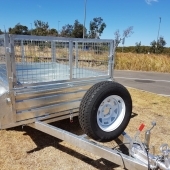 Spring 45*8mm*7leafs eye to eye.